Dear Square Enix, how you doing? It's been a while. Last I heard, you guys had some money issues. Hope you've bounced back. Sold off some of those extra records in the attic. Took out a second mortgage on your airship. Made some Facebook games. Whatever. I'm writing today because you're the vanguard of role-playing games in Japan, and I'm Kotaku's JRPG columnist. And we have a lot to talk about. First of all, congratulations on your impressive E3 showing. Between Theatrhythm Final Fantasy, the new Kingdom Hearts, Heroes of Ruin, and that ridiculous next-gen engine you've been touting behind closed doors, I think it's safe to say you had a pretty good show. Your Western arm is doing well too. Deus Ex: Human Revolution was one of the highlights of 2011, and both Hitman: Absolution and Tomb Raider look promising, despite their assorted controversies. Sleeping Dogs is getting tons of good buzz, and I had lots of praise for the puzzle-happy Quantum Conundrum. But I have some requests. Some advice. Some tips for the future, from a big fan of your work. For starters, you need to stop holding out on us Westerners. I can see why you might be worried about localising Final Fantasy Type-0, the action-RPG you released for the PSP in Japan last October. The PSP market is tepid, to say the least. And Sony's given up on the old handheld in favour of its successor, the Vita. But there's still a fairly strong base of PSP owners here. As you know, many of us enjoy RPGs — that's why you've released games like Crisis Core: Final Fantasy VII and Final Fantasy IV: The Complete Collection. Smaller companies like Atlus and XSEED are still releasing new role-playing games for the old system. And we love them for that. You could release Type-0 on the PlayStation Network, like you did in Japan, so Vita owners can buy it too. Maybe even design a high-definition remake just for the Vita. The possibilities are endless! While we're here, here's another reminder that you guys should localise Bravely Default: Flying Fairy. Thanks in advance. Point is, we want to play your RPGs. Particularly the original ones. We want to revisit that Square Enix magic you gave us with wonderful games like The World Ends With You and Nier. In fact, I'll make you a deal: for every new, original JRPG you bring to the West, you can release one remake, port, or Facebook game. We'll buy them all. Does that seem fair? Can't you see how desperate we are? I snark about this "Facebook game" thing, and indeed, it does seem like you spend a great deal of time on social gaming these days, but it's still exciting to see you come out with creative experiences like Theatrhythm Final Fantasy. Sure, Theatrhythm is basically just Elite Beat Agents with Final Fantasy music, but you're thinking outside of tradition. I love that. Keep it up. 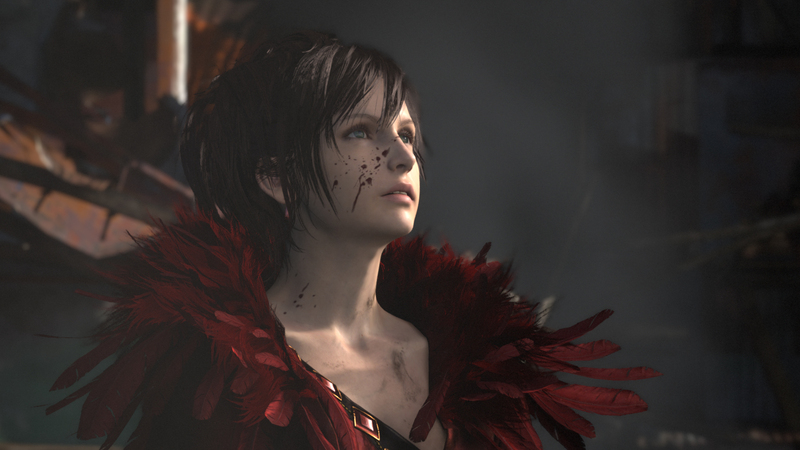 Speaking of Final Fantasy, you need to stop worrying about how to "fix" that series. You don't need to fix it. With releases like Final Fantasy XIII-2 and the upcoming Final Fantasy XIV version 2.0, you're not just apologizing for previous games, you're admitting that you just don't know where you want the series to head. Let me help you out. Even at its very worst, Final Fantasy is still a platform for new, experimental ideas, and even its most mediocre games (ie: Final Fantasy XIII, Final Fantasy XIV) are always innovative endeavours. You continue to surprise us both aesthetically and mechanically. Don't give that up. But don't lose sight of your origins, either. You've gotten a lot of flack over the past few years for seemingly abandoning the franchises that made you great, and I can't help but agree. You have some tremendous properties in your stable: Chrono, Mana, SaGa, Front Mission, Vagrant Story, Parasite Eve and many more. Stop ignoring them. Here are some more random ideas. You're welcome in advance. Try new development techniques for some of your RPGs. Instead of just putting the same directors in charge of your projects, try giving creative control to random staff, like programmers or artists. Try taking a more horizontal, Valve-like approach to design. Make another Chrono Trigger sequel. Why not let a Western studio try its hand at a Japanese-styled RPG? I'd love to see what game-makers like Eidos Montreal could do with a traditional, turn-based game. Design something for the Vita. Seriously. Sony is desperate. How about a Final Fantasy VI remake for the 3DS? Isn't it about time? Turn Dragon Quest into an online game. No, wait, don't do that. That would be an awful idea. Admit that Final Fantasy Versus XIII was never actually a real thing, and that Tetsuya Nomura has just been dreaming this whole time. You know what would be perfect on a handheld? Star Ocean. Keep experimenting. Keep trying new things. Surprise us. Shock us. Make us say things like "this isn't Final Fantasy!" and "WTF, Square Enix?" But also make another Chrono Trigger sequel. Don't you like money? You're in a lucky position here, Square Enix. You have the brands, the clout, the manpower to both play around with crazy new ideas and continue cranking out Final Fantasy remakes. Take advantage of that. Give us fewer mediocre traditional games like Infinite Undiscovery. More zany, original ones like Nier. Or more solid blends like Final Fantasy: The Four Heroes of Light. And remember, if your financial situation ever gets really dire, if you're ever in a situation where the money-bleeding can't be patched, there's a four-word answer to all of your problems. "How about a Final Fantasy VI remake for the 3DS? Isn’t it about time?" THIS! A thousand times over, this! Because it's already been re-released twice, not counting any digital releases they've done (I don't keep up with the PSN too much). I'd rather a remake that isn't sprite based. It had it's charm back then, but they can do so much more with such a beautiful game. I've been waiting for one of these for a friggin long time. ff7 has NOTHING on ff6. So annoying that so many people still want a crappy ff7 remake. "Instead of just putting the same directors in charge of your projects, try giving creative control to random staff, like programmers or artists." In a Japanese company, where being older = more important regardless of talent or training? HA! Star Ocean and Star Ocean 2 on PSP aren't handheld enough? Also SO is a Tri-Ace game, Enix just published them. They also published Till the End of Time and Last Hope so they have their foot in the door. Screw the handhelds. Bring them to console! How about getting them to release Chrono Cross on the PSN for Europe and PAL territories? Most people here never had a chance to play this awesome game (except import or illegally get the game)!! We don't even have Chrono Trigger here in Australia. Let alone World of Mana or Chrono Cross. ily SE!!! Keep doin' what yar doin' and it will all be fine. They should also probably make another Chrono Trigger sequel. "Keep experimenting. Keep trying new things. Surprise us. Shock us. Make us say things like “this isn’t Final Fantasy!” and “WTF, Square Enix?”"
Haven't we been saying this since FFXII when they made it so you didn't actually have to push buttons anymore, you could just run into packs of monsters and let your auto play do it while you made a sandwich. Hey Square Enix, are you actually releasing FF7 and 8 in Steam? Why would they change? Their Western market is only garnish, the Japanese gamers would purchase any crap they squirt out till the end of time so there really isn't any incentive. Also, these companies are ossified because they give more weight to seniority than innovation. If you're expecting anything more than more of the same, you're deluded. -Make another Chrono Trigger sequel. Shut up and take my mon-- wait. Who am I giving money to already? Hearing the words 'Chrono Trigger sequel' makes me want to randomly give money to people. I'd like them to do a sequel for World Ends With You. How about a Soul Blazer, Illusion of Gaia, and Terranigma Combo would sell absolutley heaps considering how rare Terranigma is to acquire these days and if not just that reason the fact that our US friends never got to play this great game. The amount of people who try to remake and make sequels of any of these games should be a hint. It's like the death of Quintet buried these glorious games. DIG EM UP!! i'd pay $10+ each easy. Maybe even double. I'd rather play any of those three then the multi million dollar games that take years to develop these days. Purchase Mistwalker and let them lead the way with your next FF. Please make Final Fantasy XIII-3. I was burned so hard by FF13, that I wish you would all go f*** yourself. And how about a vintage collection for PS2 and XBL. Not just from Square's past but maybe some Enix and Taito titles too. Any of these games would sell with trophy/achievement support. Lufia 1, 2 and 3 (which is ripe for a remake) and 4 too. Soul Blazer, Illusion of Gaia, Terranigma. Actraiser 1 and 2, Robotrek, Brain Lord, 7th Saga, The first Star Ocean..
That's not even mentioning all the Squaresoft beauties of the past. From Secret of Mana 1 and 2, Secret of Evermore, Livealive, Final Fantasy 4 - 6, Mystic Quest, Dragon Quest 1 - 6.. All of these games are perfect candidates for a vintage collection or sold as singles on PSN or XBL. People would probably pay $10 a pop. There is a serious shortage of RPGs these days. So much so that people don't call them RPGs anymore, they call them jRPGs. I for one (along with many of my friends) am an RPG player and I play and buy less games because there are hardly any decent RPGs these days. Jeez, bring the remakes of Final Fantasy 1 - 6 out on PS3. Make it so FF 1 - 9 are available. AND FURTHERMORE!! At what point did Nippon Ichi and Gust vicious defeat Square Enix at RPG creation?! Are you guys gonna take that shiz? This is a message to the people who make things happen at Square Enix. Hi, I'd just like to say thanks for publishing anime series e.g. E's Otherwise/Spiral/Sekerie and supporting manga in general (book or internet form). Also I want to express my appreciation for all the games you produced that have captured my imagination like magic e.g All of the Final Fantasy games, Dragon quest and I realise that you have helped with UBI soft games as well. Please don't stop supporting different anime series rolling out (not just Full Metal Alchemist) and please get around to finishing the Final FantasyXiii game for PSP (the academy version) not just for the phone. I lookforward to the future of Final Fantasy e.g. Final Fantasy XIV!!!! !